have some fun with your fall fashion! Vintage owl pendants, stone butterflies and more. All of these unique pieces are headed to Pappagallo in Plano….selected pieces will be headed to all of the Pappagallo Boutiques in the Dallas metroplex. I have designed a new selection of fabulous earrings and wrap bracelets too. So don’t wait these pieces won’t last long! Ask for Michele Busch Jewelry. 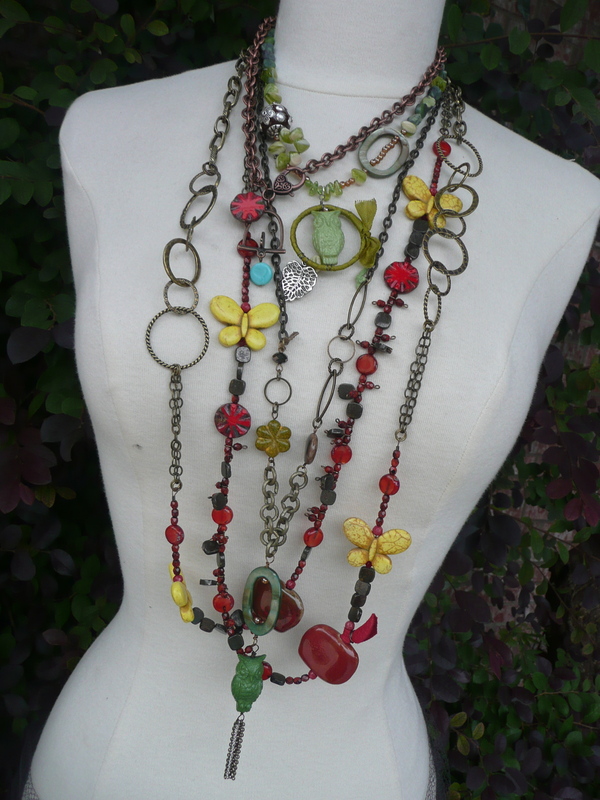 This entry was posted in Jewelry Finds, Where To Buy and tagged fun fall fashion, Michele Busch Jewelry, owl necklaces, Pappagallo Boutique, Pappagallo Boutique Plano, stone butterfly necklaces, wrap bracelets. Bookmark the permalink.